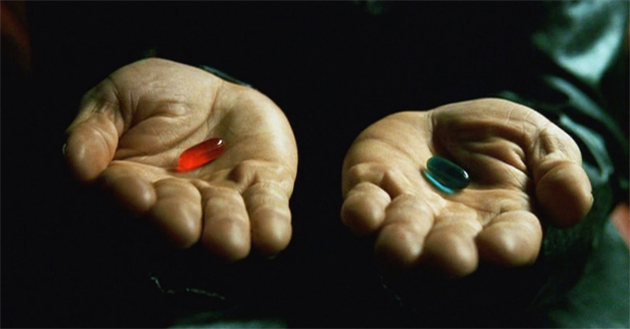 When constructing a feature whose very reason for being is to explore the most far out aspects of our universe, it's fair to say that we're leaning towards the red pill. But that doesn't mean there's nothing here for those of the blue persuasion. We think you'll love the rainbow sun, for example -- until you realize, technically that's very real too. This is alt-week. Everyone knows what the sun looks like, right? Most kids would be able to paint it from memory before reaching first grade -- big, bright and probably yellow. And that image is largely correct, for us Earth-bound pedestrian humans. Less so, if you're one of the team at the Solar Dynamics Observatory, which has just released a video of our star, comprising footage of 10 different wavelengths of light (and therefore colors). Most of what the video shows is invisible to the human eye, or is blended in with what we do see. When separated, the different light frequencies show off different elements, or features of the sun -- for example, ultraviolet shows a sweltering 11 million degrees F, where you'll find solar flares hanging out. So, while the school kids aren't getting their artwork wrong, there's definitely scope for them to go a little more abstract. To us, the term "edible batteries" either sounds like something discarded from a cereal-maker's product brainstorming session, or a spirit-crushing fact of life from a not-so-far off dystopian future (though maybe the former is, too?). If you hang around at Carnegie Mellon University, however, you're more likely referring to a prototype power source, that could be used to fuel innovative (ingestible) medical devices. The "batteries" are based on melanin -- found in cuttlefish ink -- as the anode, and manganese oxide as the cathode. Everything in the battery can harmlessly dissolves in the body -- unlike conventional lithium-based cells, that need to be safely encased, and physically removed. With further development, the edible batteries could be used to power "smart pills" that only release their active components once they are past the stomach. It's this part of the journey which can destroy many medicines before they reach the intestine -- usually calling for intravenous administration instead. Perhaps we can add NFC, too, and then the interactive app possibilities are endless. We guess we knew this day was coming, but the comfort of denial was too seductive. 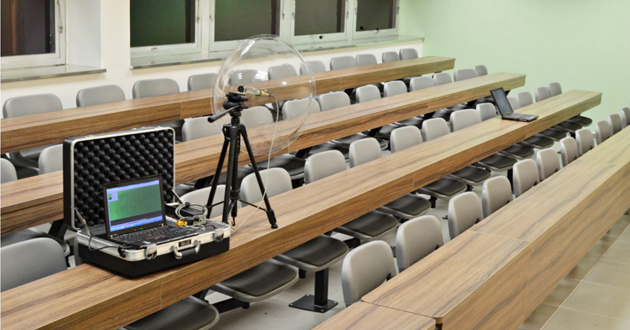 A team of acoustic cryptanalysts has broken 4096-bit RSA encryption using little more than a microphone. We say little more, but that's just in terms of hardware, you'll still need some high-grade smarts. By recording high-pitched sounds (in the region of 10- to 150 KHz) produced by a laptop's CPU as it decrypted data, the team -- which includes RSA co-inventor Adi Shamir -- was able to unlock its secrets. With a recording made, the experts were able to pin-point parts that related to decrypting of data. Once this part has been established, you can filter out the rest, and focus on figuring out the decryption key. Worrying as it may be that we're thoughtlessly sending this information out into the ether every time we use our computers, know that there's a bunch of variables in the chain that would make almost all scenarios individual. Different computers, CPUs, and not to mention encryption software would likely require their own fresh attempt. That said, the same team was able to break algorithims from as far away as 13 feet, and even managed it using just a phone (from 1 foot away). In theory, all you need is the recording, and the rest can be done back at the lab/studio, but if there's ever been a case for cracking up your jams when working with sensitive info, this is it.